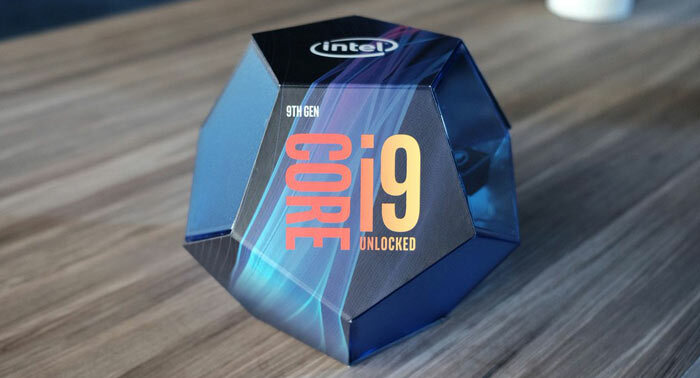 The top-end Core i9-9900K boasts 8C/16T with a base frequency of 3.6GHz and boost of 5.0GHz. Additionally it features 16MB of L3 cache (2MB of per core), supports dual channel DDR4-2666, and is rated at 95W TDP. 5.0GHz boost is achieved using one or two cores but an all core turbo of 4.7GHz is achievable. Overclockers have already pushed this new Core i9 CPU to 6.9GHz on LN2. Stepping down the ladder, we find the Core i7-9700K. This also boasts 8 cores but doesn’t offer Hyperthreading. Again it has a base frequency of 3.6GHz but the default max turbo is 4.9GHz on a single core or 4.6GHz on all cores. This is quite a different configuration to its predecessor, the Core i7-8700K with 6C/12T but the same base Coffee Lake architecture. In other comparisons the 9th gen chip has slightly improved turbo but less L3 cache per core. The supporting act today is the Core i5-9600K, with six cores but no Hyperthreading. It has the fastest base clocks of all the new processors at 3.7GHz but its turbo clocks are somewhat lower at 4.3/4.6GHz for all/single cores. Processor shipping will begin on 19th October, and unfortunately the review embargoes end on that same date. 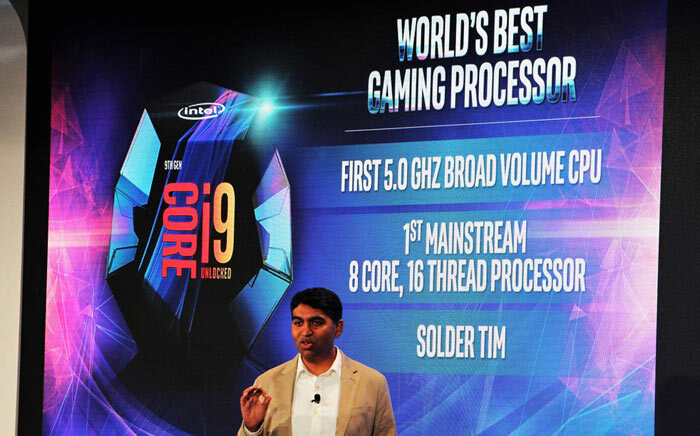 “9900K is the world's first mainstream 8c/16t processor” lol. Regarding this - How are they allowed to legally have that on their marketing poster? It's quite obviously a massive lie. They could argue it's Intels worlds first mainstream and probably get away with it. I mean, they got away with the “28 core at 5GHz will be mainstream bs” quite easily. Officially, what they've said is totally wrong but, it depends what mainstream means. 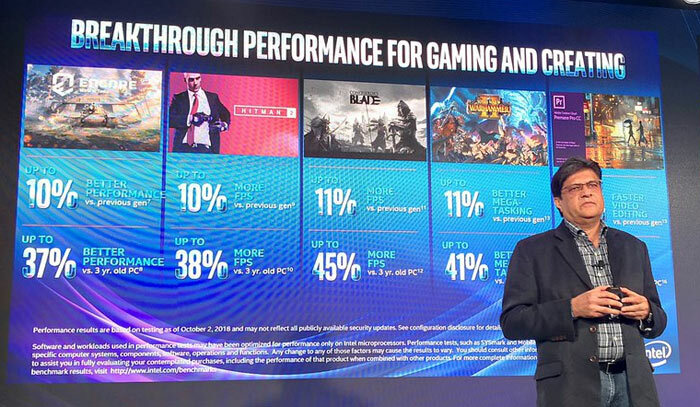 If mainstream is the majority market share then Intel is correct. They're still massive wangs to me for saying that though. 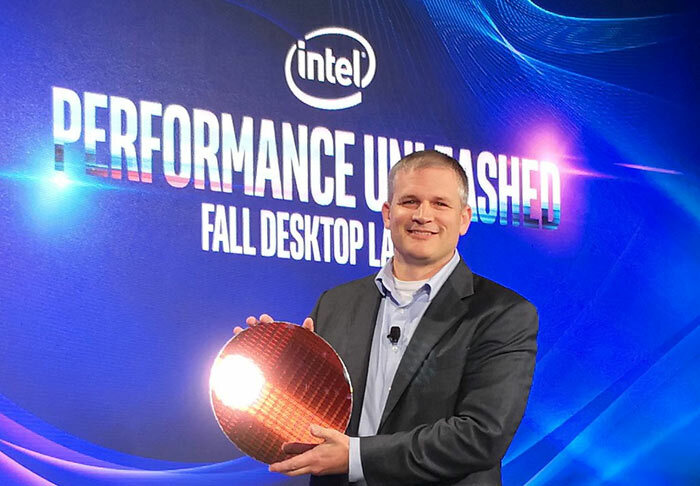 In the livestream the presenter said Intel broke the laws of physics to bring you the 9900K. Scan are selling this for £599.99, what a complete ripoff when compared with $488 launch price by Intel. Mind you, it would be worth working out how many minutes/hours this CPU would save in a year, if it's saving me hundreds of hours then a few hundred pounds extra is nothing compared with my hourly rate.